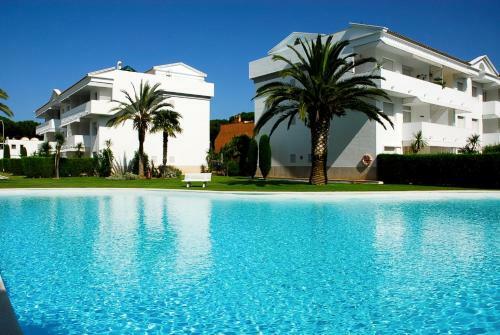 Located a 5-minute walk from sandy Platja de Pals Beach and from Golf Platja de Pals, the apartment complex Green Club offers an outdoor pool and air-conditioned apartments with garden views. Each apartment at Green Club features a living-dining room with a sofa and a TV. 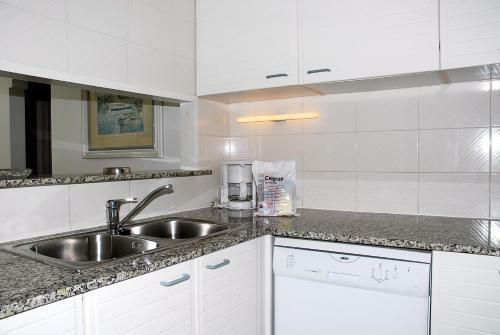 The modern kitchen is completed with a dishwasher, oven and kitchenware; while the 2 bathrooms come with a bath or shower. There is a washing machine and ironing facilities are provided. A range of bars, restaurants and supermarkets can be found within 10 minutes’ walk. Set on the Costa Brava Coast, Green Club is 50 minutes’ drive from Girona-Costa Brava Airport and 23 km from Flaça Train Station.